This article is cross-posted at the Examiner. This is another article in a series profiling young adult authors you need to read now. When people think of YA literature many of them think of classic authors like Judy Blume, Norma Fox Mazer, and Chris Crutcher, but there are a whole slew of YA authors for today’s teens (and adult fans of YA lit) that should not be missed. 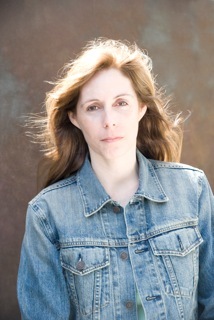 Semi-local (Syracuse area) author Laurie Halse Anderson is the author of numerous books for teens and tweens. Her books have received major accolades—two of them were National Book Award finalists and she herself was honored with the Margaret A. Edwards Award given by YALSA for her “significant and lasting contribution to young adult literature…”. She’s no stranger to controversy, however, and would-be book banners have challenged her books. The latest attempt was the Wesley Scroggins incident. Read about it here. Anderson’s first YA book and her most often challenged one is “Speak.” It tells the story of a young girl who begins her freshman year in high school alone and friendless because of an incident at a party the summer before. Melinda must learn to accept the truth of that incident and tell others the real truth before she can begin to heal. “Speak” is gripping and realistic as Melinda sinks further and further into depression. It is a hugely important novel that should be shared between mothers and daughters everywhere. You can find more information about Anderson on her website, like her on facebook, and follow her on twitter. I'm an Amazon Associate now. If you click on the Amazon links & buy anything I might make a tiny bit of money. Oh my gosh, I totally second this. Anderson is such an amazing writer - she hooked me with Speak, and kept me on as a fan for life with Wintergirls. I'm glad you agree. :-) Speak is such an important book. It's such a shame that it's often challenged. Share book reviews and ratings with GoddessLibrarian, and even join a book club on Goodreads. Goddess Librarian by Goddess Librarian is licensed under a Creative Commons Attribution-NonCommercial-NoDerivs 3.0 Unported License. Copyright © 2018, www.goddesslibrarian.com. All rights reserved. Powered by Blogger.